Me... and all around me...: Homemade Wantons! I craved for wanton last night, after my Yoga session and a scroll in Page One. I figured I'd cook them myself since I've got some minced pork in the fridge. So I went and hunted for the prawns and wanton wrappers. Got the prawns but no wanton wrappers anywhere (well I only looked in 3 supermarkets, not a lot)!!! 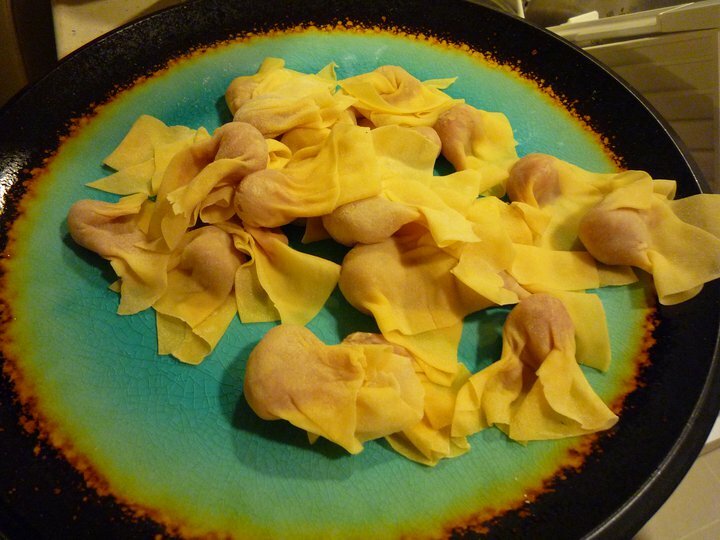 So I have decided to pay for the prawns and go home and make my own wanton wrappers. I googled a recipe, and started right away!! Flour x 150g, egg x 1, water x 2 tbsp, salt x 1 tsp, mix them up and make the dough (knead until it doesn't stick to your hands anymore), leave for 30 minutes (cover the bowl with a damp cloth). 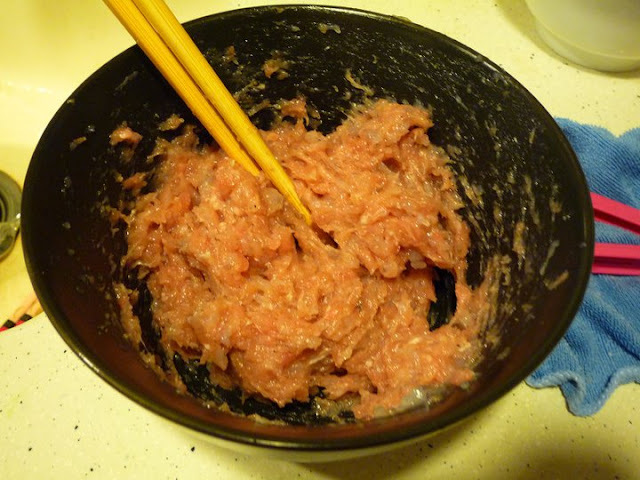 Then, while waiting, mix the minced pork and prawn in a bowl (stir them up in one direction until it's very sticky). Of course, mix in the salt & pepper as well. 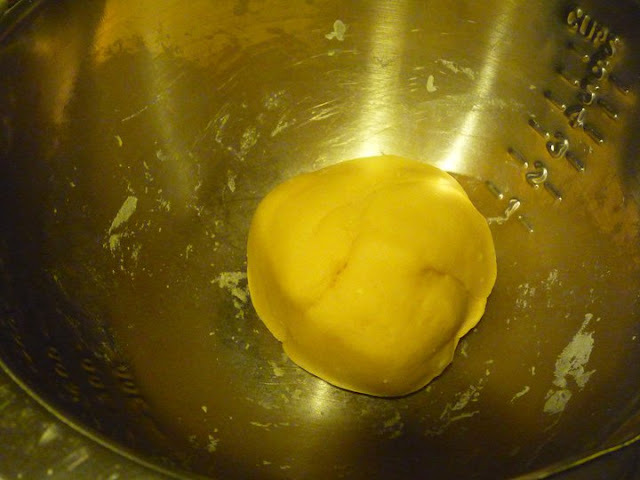 Then roll the dough (split them in a few portions) into very flat sheets, as thin as possible, best if you can see the light through the sheets. Cut them in to 6cm x 6cm squares (actually, any shape you like as long as it's just as big). And them, wrap!! Well, depending how big you like your wantons, wrap as much filling you want. I like them small, about half an inch diameter.